2019 Publications Available Now...Order yours today! The Tire Tool is the ulimate product for removing tire serial numbers. Complete tire and wheel fitment for cars and trucks listed by year/make/model. 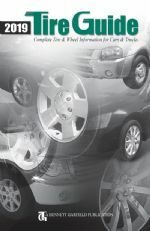 Publication containing Complete Tire & Rim Specifications for cars and light trucks. Revised & Updated Yearly with the most accurate & complete information compiled directly from the vehicle manufacturers. Table of Contents & Index make it the most quick & easy reference guide available. Includes P-Metric & European Metric Conversion Charts. Also includes Lug Nut Torque Specifications for Passenger Car and Light Truck Vehicles. Rubber Manufacturers Association approved Rim Width & Tire Replacement Charts. Other helpful charts & information such as Tire Speed Rating, Tire Rotation, Etc. Known as "The Tire Industry Bible". A Complete History of Original Equipment Tire Sizes going back 90 years. Includes Tire Fitment Information, Rim Sizing and Inflation Specifications. Covers American Cars, Imported Cars and Minivans. Also includes a completely revised and updated Light Truck Section. Over 700 full pages per volume with a Table of Contents and Index for ease of use. Comes with a listing of both Domestic and Foreign Antique and Odd-Size Tire Dealers. Tire Guides, Inc., hereafter "Tire Guides", considers personal information, such as your name, postal and e-mail addresses or telephone number, to be private and confidential. Accordingly, the personal information you provide is stored in a secure location is accessible only by designated staff or authorized agents, is used only to market our products or better serve our customers. Tire Guides will not disclose any personal information to other organizations. Tire Guides does not knowingly collect any personally identifiable information from minors and anyone under 18 years old should seek their parent’s or guardian’s permission prior to using or disclosing any personal information on this site. Tire Guides may use the information users give us to, for example, provide a service, measure consumer interest in our various products and services or inform users about new products and programs. These offers may be based on information provided in surveys, information that may indicate purchasing preferences or email sent to Tire Guides site. Any lists used to send you product and service offers are developed and managed under strict conditions designed to safeguard the security and privacy of customer personal information. Tire Guides will use reasonable effort to address all requests to remove names from any postal mail or email lists. Because Tire Guides considers the individual information we maintain to be confidential, our policy is to disclose no personal information gathered online to third parties unless release is required by law or is pertinent to judicial or government investigations or proceedings. Tire Guides does not sell, rent or transmit personal information to other organizations. Tire Guides web sites may contain links to other sites, and we make every effort to link only to sites that share our high standards and respect for privacy. However, we are not responsible for the content or the privacy practices employed by other sites. U.S. Government Users Restricted Rights - Use, duplication or disclosure restricted by Tire Guides, Inc. Tire Guides, Inc. ("Tire Guides ") hereby authorizes you to copy documents published by Tire Guides on the World Wide Web for non-commercial use within your organization only. In consideration of this authorization, you agree that any copy of these documents which you make shall retain all copyright and other proprietary notices contained herein. Each individual document published by Tire Guides on the World Wide Web may contain other proprietary notices and copyright information relating to that individual document. Nothing contained herein shall be construed as conferring by implication, estoppels or otherwise any license or right under any patent or trademark of Tire Guides or any third party. Except as expressly provided above nothing contained herein shall be construed as conferring any license or right under any Tire Guides copyright. Note that any product, process, or technology in this document may be the subject of other intellectual property rights reserved by Tire Guides, and is not licensed hereunder. This publication is provided "AS IS" WITHOUT WARRANTY OF ANY KIND, EITHER EXPRESSED OR IMPLIED, INCLUDING, BUT NOT LIMITED TO, THE IMPLIED WARRANTIES OF MERCHANTABILITY, FITNESS FOR A PARTICULAR PURPOSE, OR NON-INFRINGEMENT. Some jurisdictions do not allow the exclusion of implied warranties, so the above exclusion may not apply to you. Tire Guides assumes no liability for the use or interpretation of information contained herein. Decisions based on data or information is the responsibility of the individual. Any Tire Guides publication may include technical inaccuracies or typographical errors. Changes may be periodically made to these publications; these changes will be incorporated in new editions of these publications. 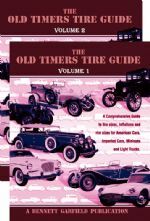 Tire Guides may make improvements and/or changes in the products and/or the programs described in these publications at any time without notice. Should any viewer of a Tire Guides published document respond with information including feedback data, such as questions, comments, suggestions, or the like regarding the content of any such Tire Guides document, such information shall be deemed to be non-confidential and Tire Guides shall have no obligation of any kind with respect to such information and shall be free to reproduce, use, disclose and distribute the information to others without limitation. Further, Tire Guides shall be free to use any ideas, concepts, know-how or techniques contained in such information for any purpose whatsoever including but not limited to developing, manufacturing and marketing products incorporating such information. 30 Day Return Policy, less 15% restocking fee and shipping & handling. Re-Pack the product in its original packaging. Send back via UPS, FedEx or Truck line. Freight must be prepaid and item must be insured for it's full purchase price. There are no returns past 30 days.